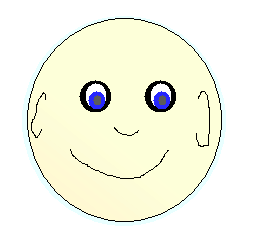 It converts all BMPs into the GIF format, and corrects the mask into a valid image. Lazily-made / Noob-made / noob drawing / result of lazy effort - These are pairs of a image and mask, created via simple copies of the original image, with a white color. and you got the broken image. 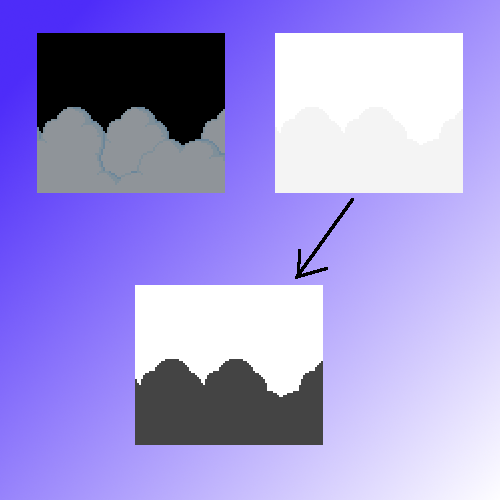 Because the lazily-made image is a copy of source image, we must compare all pixels between image and mask. If pixels are equal - fill pixel on the mask by black color. LazyFix tool - is a console tool, you need open the terminal or command line and change directory to the LazyFix tool. 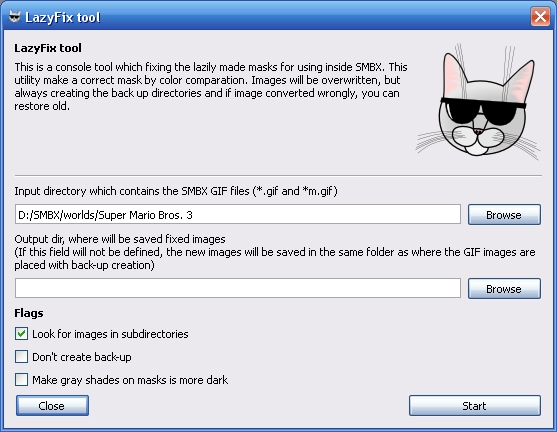 This utility fixes all SMBX64 graphics (GIF with mask images) in an selected folder and (optionally) all graphics inside the subfolders. 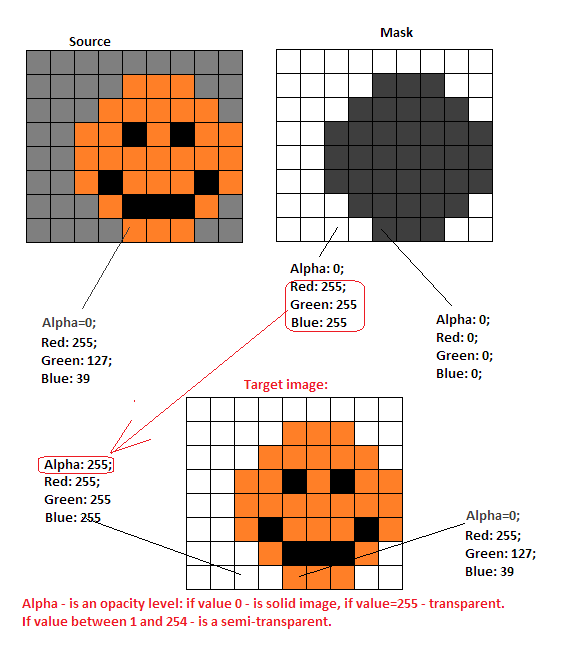 The mask must be placed WITH its image, as the fixing process is based on calculating broken pixels by comparing between the pixels of both images. 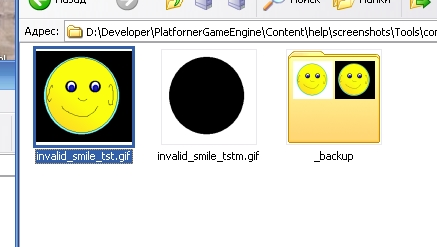 Note: After work of tool will be created the "_backup" directory where will be placed broken images before run fixing. 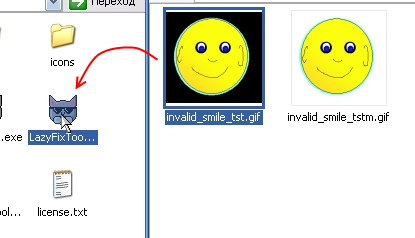 If tool made errors aftrer it's worls, you can always restore your old images from backup directory. The Editor have a GUI shell for set properties to the lazyFix tool. For open them, try the menu item: "Tools -> External tools -> Fix Lazily-made graphics (LazyFix tool)"
And you can configure properties for setup the batch fixing. When you press "Start", will be opened the "Developement Console" window, where you will see the fixing process.